Randy Petalcorin of the Philippines successfully defended hi interim WBA World light flyweight title in China last April 24, 2015. Filipino slugger Petalcorin aggressively attack Ma Yi Ming of China in the very 1st round of the fight. Petalcorin connects a left hook that puts Ma Yi Ming in to the canvas 3 times before referee Raul Caiz Jr. waves the fight at the 1:43 mark. 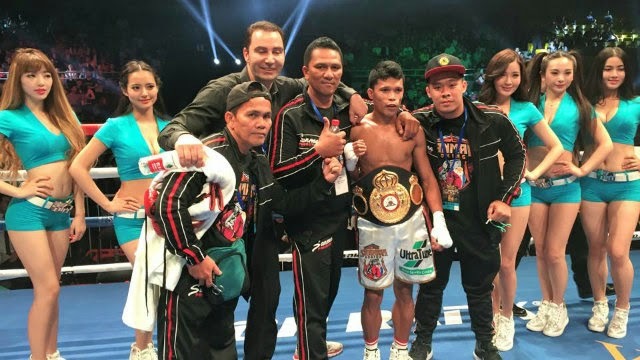 The Filipino boxer retains his interim WBA World light flyweight title and improved his record with 23 wins with 18 big wins by way of KO and has only 1 defeat while Ma Yi Ming of China dropped with 12 wins and 6 defeats.